The ducks have creeks to swim in. The ducks have ponds to swim in. The ducks have springs to swim in. 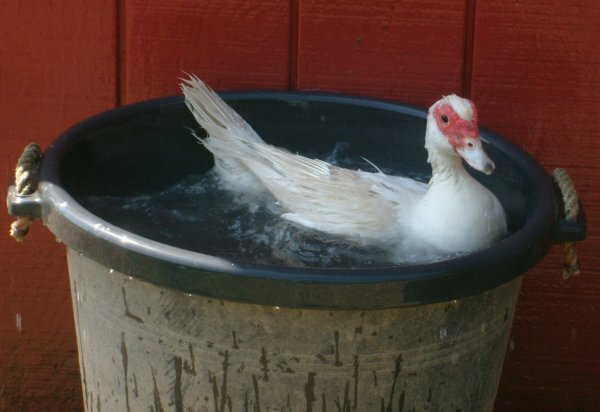 But there’s always some duck who just really likes the drinking tub at the barn to swim in. Maybe it’s the duck version of a hot tub….